No matter how good the photography, the quality of our handles can only be fully appreciated by visiting our stunning London showroom, set at the heart of Chelsea Design Quarter on London's Kings Road. Fully redesigned in 2017 to provide a refreshing experience at the cross-roads of art gallery and jewellery store, the showroom reflects our design ethos of effortless elegance and considered detailing. Luxury handles are displayed like works of art on customised frames in a relaxed gallery-style environment. Organised by metal finish within each of the collections, the display has been carefully curated to provide a representative sampling of style and finish, always mindful not to drown the visitor in endless options. We understand that the breadth of our collections can be overwhelming at first, and Randa and Lucy are expert at narrowing the options down to what is best suited to each project. We generally avoid technical jargon, and are always happy to advise on technical aspects in lay terms. A private consultation area is available to sit down with clients, bring over samples under consideration and discuss your projects. 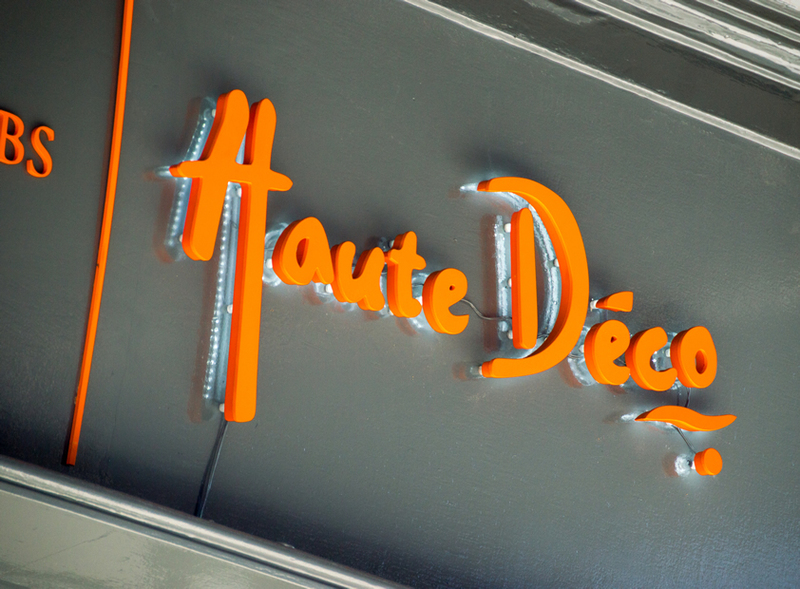 Haute Déco works closely with interior designers, architects, and property developers who appreciate the potential for exceptional architectural details to add character and ultimately value to residential properties. We are equally happy to welcome and advise private clients.